Russ is a senior lecturer in management and leadership, and the course leader for the MSc in Management and Leadership. 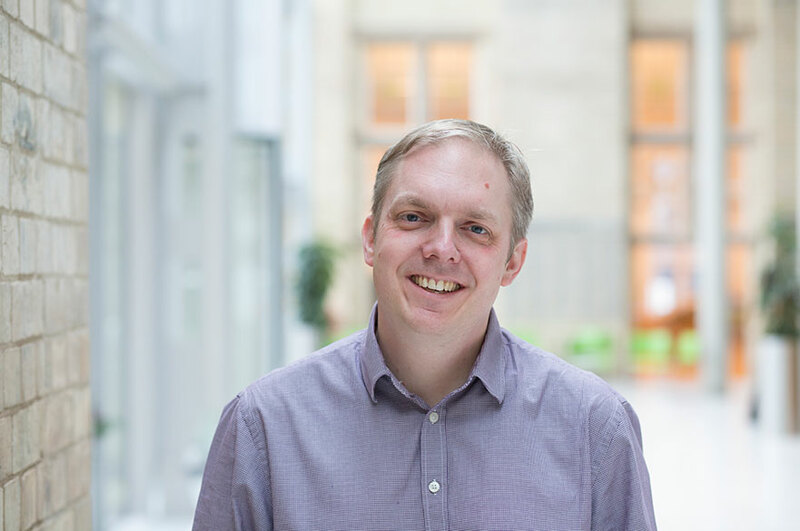 As well as teaching, he is an active researcher, working on developing, conducting and supporting research activities in the Nottingham Business School including public management, service management, lean, and operations management. Before entering academia, Russ had a successful career in policy, change and performance in the private and public sectors. After his undergraduate degree he first joined Littlewoods Retail Ltd.in 1997 as a continuous improvement manager, where he facilitated a range of corporate transformation, process improvement, employee engagement and cultural change / organisational development projects, as well as running a staff suggestion scheme and developing internal change communications. Russ joined Knowsley Council in 2001, where he had a number of roles, ending up as assistant director for change management, leading large scale change operations. He led the corporate policy, performance, change and equality teams and managed the council’s corporate performance framework. Between 2006 and 2010 he was head of policy and performance for Wirral Council and then Cheshire East Council, responsible for a wide range of services including performance, performance improvement, policy, community engagement, audit & inspection, customer services, communications, equality and diversity, partnerships, and neighbourhood working. He also worked for the Liverpool School of Tropical Medicine as a project manager for a neglected tropical disease treatment programme. As well as teaching on the Open University MBA, he has held teaching and research posts at Liverpool John Moores University and the University of Liverpool. Russ’s doctoral research at Loughborough University focused on performance management and service improvement in English local government, examining the legacy of New Labour approaches during 1997-2010. He also has research interests in primarily the public and community / voluntary sectors. These include public service management and public service operations, Lean operations, continuous improvement tools and methodologies, co-production, public service accountability, governance, and performance management systems. His research covers public administration and public management, and he is also interested in service outsourcing, institutional change, and policy development / implementation. He is primarily a qualitative researcher and interested in a range of research methods, including interviews, focus groups, ethnographic research, and policy and discourse analysis. Russ is a member of the International Centre for Public Service Management at NBS, and the Public Policy and Management Research Group. Russ is a member of Loughborough University’s Centre for Service Management, the British Academy of Management, the Performance Management Association, and the International Research Society for Public Management. He is the chair of the British Academy of Management Special Interest Group in Public Management and Governance. He is a fellow of the Higher Education Academy, and Fellow of the Royal Society of Arts. Whilst Russ worked at Littlewoods, he represented the organization on a number of community schemes, as well as ideas.uk, an umbrella body for staff suggestion engagement schemes. He was an Excellence North West senior assessor for six years, inspecting organisations against the EFQM quality standard, and was an ISO9000 quality manager and assessor. He is also a school governor and chair of the parent / teacher association for a primary school. Russ’s active collaborations include Prof. Zoe Radnor, Leicester School of Management, Dr Nicola Bateman and Dr Ian Hodgkinson at Loughborough University’s Centre for Service Management, Professor Stephen Osborne at Edinburgh University’s Centre for Service Excellence, Dr Jo Meehan at the University of Liverpool Management School, and Professor Claire Hannibal at the University of Wolverhampton. His NTU collaborators are Prof. Baback Yazdani, Prof. Harry Barton, Dr Martin Jones, Pete Murphy, and Dr Rupert Matthews. Radnor, Z.J., Osborne, S.P. and Glennon, R. (2016) “Public Management Theory”, in Ansell, C. and Torfing, J. Handbook on Theories of Governance. Cheltenham: Edward Elgar Publishing Ltd.